© Marcelo Maia. All rights reserved. Mass of Light on the Patron Saint of the city. 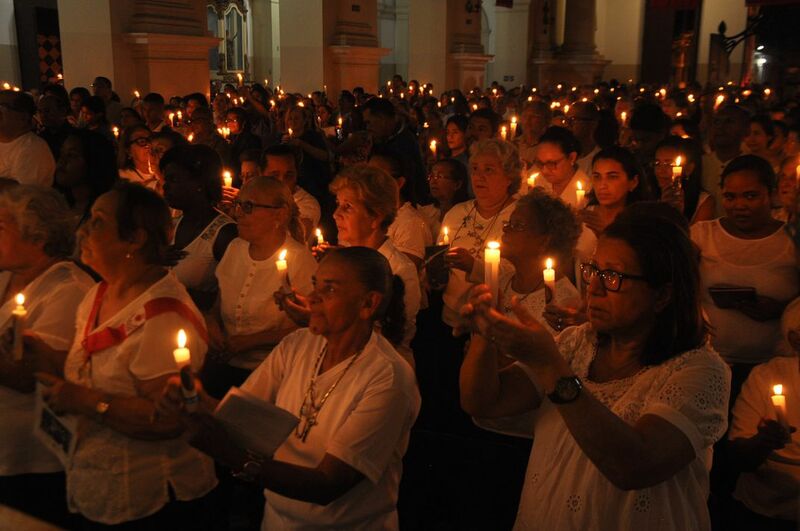 A week of festivity for the Patron Saint of the City has its 'grand finale' with the celebration of the Mass of Light when the whole Cathedral turn off its lights and begins to light the candles brought by the faithful. Date Uploaded: Sept. 7, 2017, 9:02 a.m.